This year, the 2019 NHL® All-Star Game is returning to San Jose after 21 years, and Upper Deck plans to make it the best one yet. Fans do not want to miss this action-packed, exciting weekend that includes the NHL All-Star Skills Competition on Friday, January 25th and the NHL® All-Star Game on Saturday, January 26th. 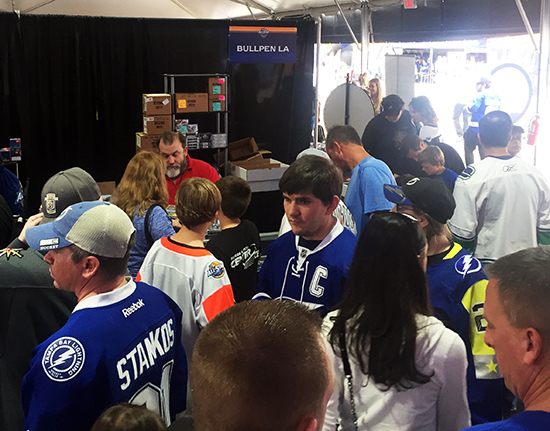 Collectors pack around Upper Deck’s dealers at the Fan Fair to participate in Upper Deck events! Puck-O: Step right up and drop your puck! 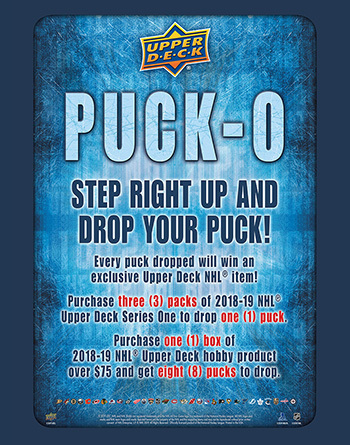 Every puck dropped will win an Upper Deck NHL® item—you can score insert cards, jersey cards, UD hockey card binders, 5x7s of your favorite players and more! 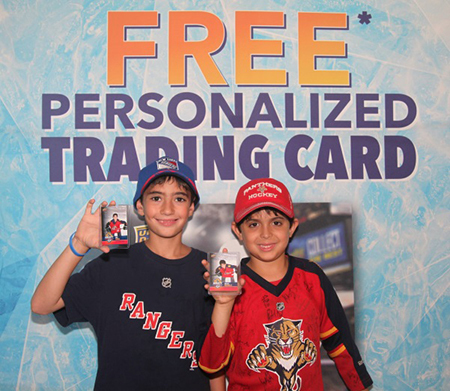 Personalized Trading Cards: Put your favorite gear on, strike a pose in front of our arena background, and we’ll turn it into your very own trading card! Upper Deck will have professional photographers and a props in the form of gloves, sticks and jerseys for you to choose from. We’ll even print them right on site so that fans have this tangible collectible item to take home as a keepsake! 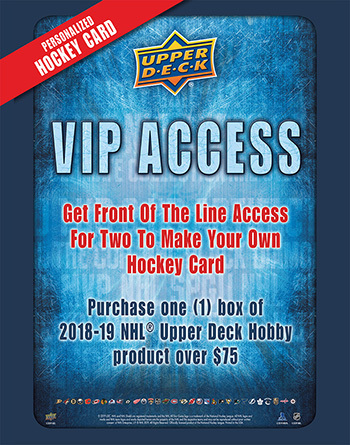 Upper Deck e-Pack™: All fans who are Upper Deck e-Pack™ members, or who sign up for Upper Deck e-Pack™ at the show, can take home this limited-edition NHL All-Star poster! 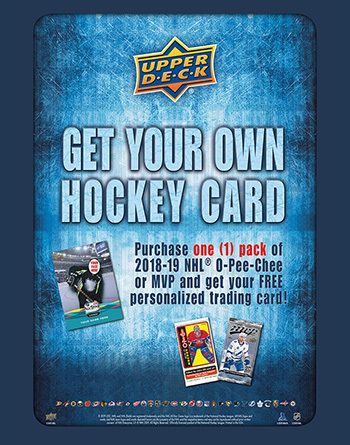 Be sure to check out UpperDeckePack.com to buy, collect and trade hockey cards anywhere, anytime. 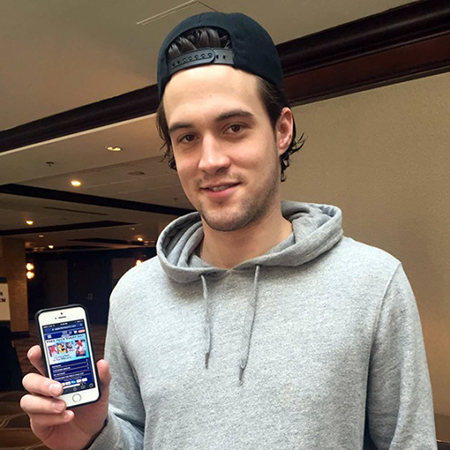 We had NHL All-Star John Gibson try out Upper Deck e-Pack at a previous All-Star weekend. 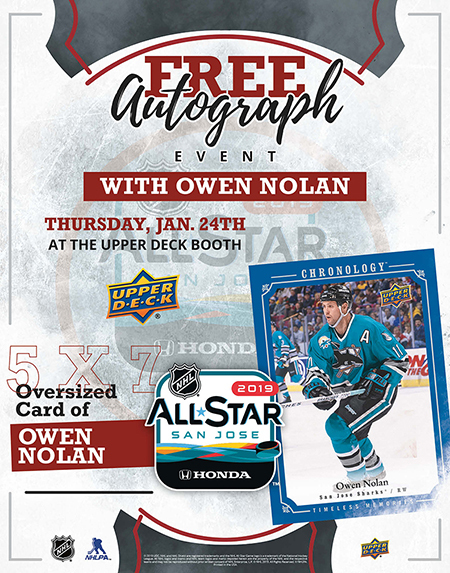 FREE Athlete Signings: On Thursday, January 24 from 6:30 – 7:30 p.m., Upper Deck will have retired NHL player, Owen Nolan, signing oversized hockey cards. John Gibson, the All-Star goaltender for the Anaheim Ducks will join Upper Deck on Saturday, January 26 from 12:00 – 1:00 p.m. and will sign UD blow-up cards at the Upper Deck booth. These are awesome signing experiences you do not want to miss! 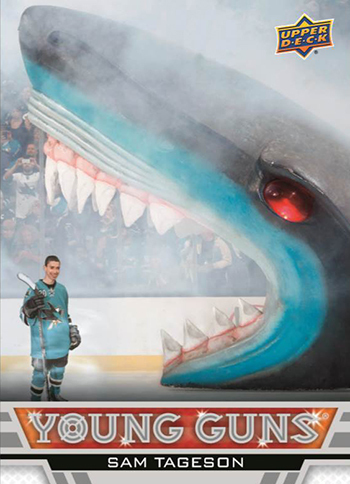 Heroic Inspirations Signings: On Saturday, January 26th from 3:00-4:00 p.m. Upper Deck will be bringing in two inspirational players who will be signing copies of their Upper Deck Young Guns cards and accepting donations for the Sharks Foundation. 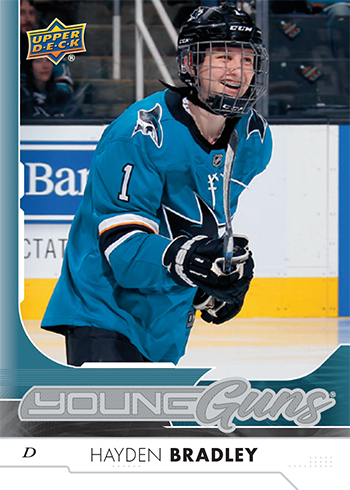 Sam Tageson and Hayden Bradley earned short-term contracts with the San Jose Sharks and made a lasting impression earning Young Guns cards through Upper Deck’s Heroic Inspirations Program. 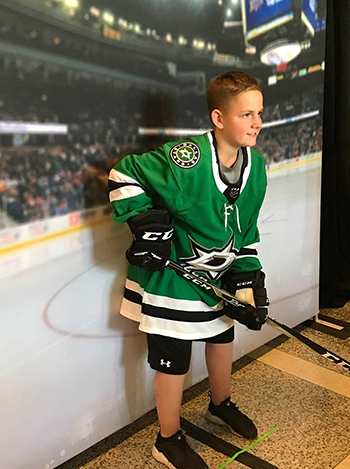 Upper Deck All-Star Kid Correspondent: Kids are a big part of Upper Deck’s marketing efforts so we will be bringing in a kid correspondent to have an incredible memorable time at the All-Star Media Day. Check out what happened last year! 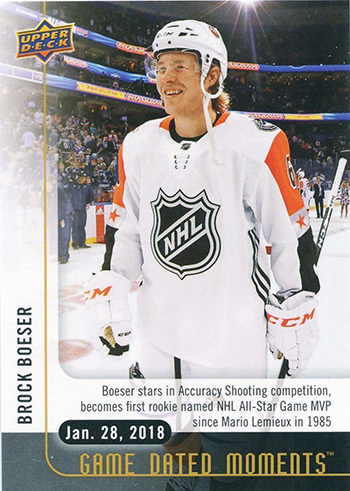 Game-Dated Moments: You know there are going to be some amazing moments at the 2019 NHL® All-Star Skills Competition and the NHL® All-Star Game. 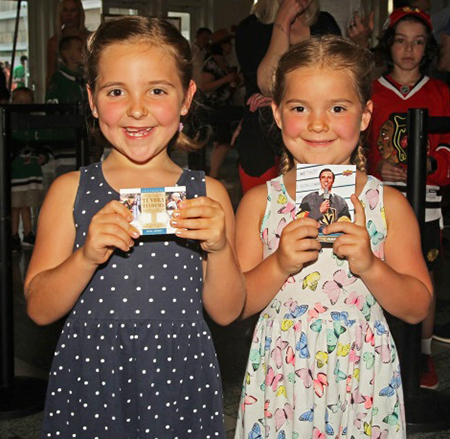 Only Upper Deck can bring you trading cards of the biggest moments from these events through the company’s Game-Dated Moments program on Upper Deck e-Pack™. New cards will be available for one week after the All-Star action ends. 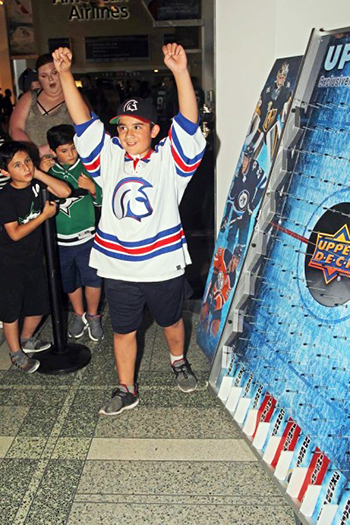 Social Media: Make sure to follow @UpperDeckSports on Instagram and @UpperDeckHockey on Twitter to see what’s happening from San Jose including athlete signings, fan engagement and many more surprises! 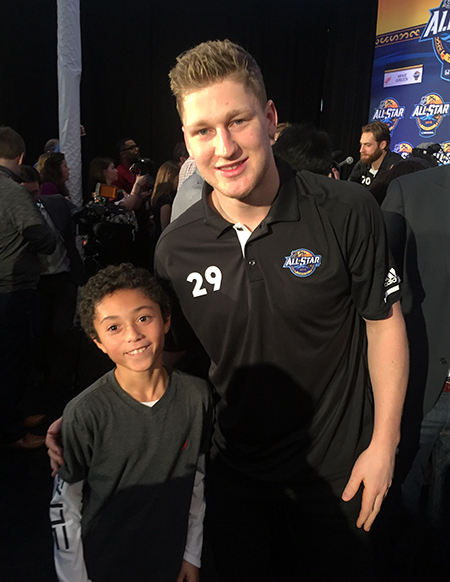 Use the #NHLAllStar hashtag to engage with our team.